Climate Depot Reality Check: 2018 sees record low death toll & no violent (EF4 or EF5) tornadoes for first time since records began in 1950 - With five days left in the year, The Weather Channel reported that the United States will finish with the fewest tornado deaths on record, should no tornadoes touch down and create fatalities before January 1. 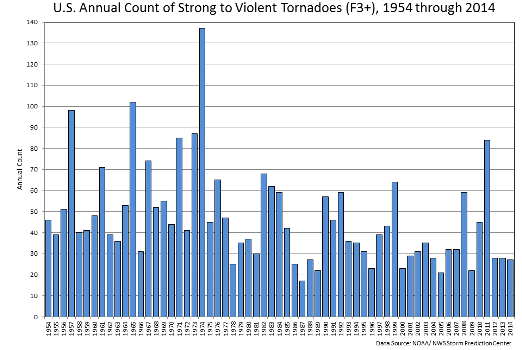 And should no EF4/5 tornadoes hit the U.S. in the next five days, it would mark the first time that none have hit in a calendar year since that record began in 1950, according to the Washington Post. With five days left in the year, The Weather Channel reported that the United States will finish with the fewest tornado deaths on record, should no tornadoes touch down and create fatalities before January 1. 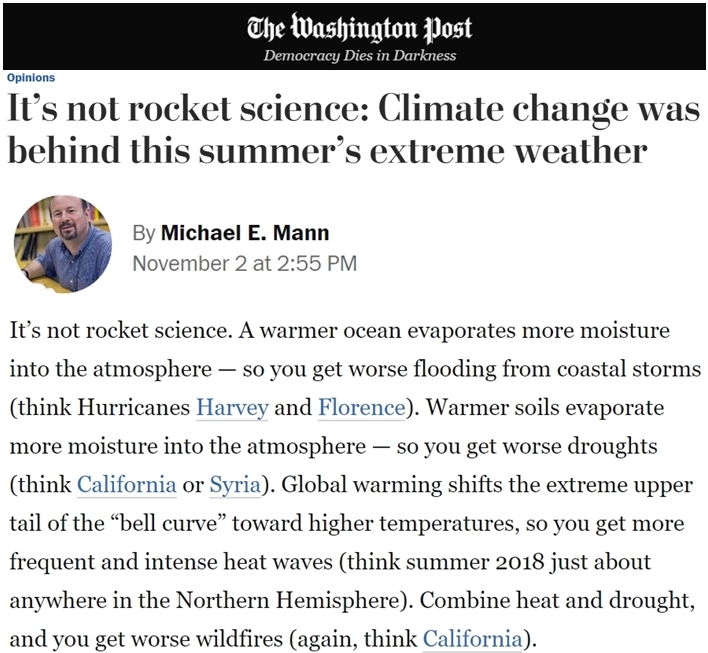 Paging Al Gore: Flashback 2013: Gore laments scientists 'won't let us' tie climate change to tornadoes - Former Vice President Al Gore lamented that scientists “won’t let us yet” link tornadoes to climate change. Gore alluded to last month’s devastating twister in Moore, Okla., saying that shoddy historical statistics are preventing a connection between “these record-breaking tornadoes and the climate crisis."